Doctor Who is one of my absolute favourite television shows. For me, its only real rival is The Waltons. One of the best things about Doctor Who, I think, is the way that it changes. In any other series, if you want to see a reinterpretation of the main character you have to wait years for it to be remade or look online for fan projects, but with Doctor Who, the main character, or, the Doctor, is reinterpreted every few years, and the best thing is, it all happens without them having to change the continuity or anything. Originally, I was going to make a ‘Top 10 Incarnations of the Doctor’ but I’d feel bad leaving out just one, and ‘Top 11 Incarnations of the Doctor’ doesn’t really flow well. Anyway, without further ado, I’d better get started. Number 5 is The Ninth Doctor. Back in 2005, I’d only seen a little bit of Doctor Who via my Dad’s old videos and DVDs. I thought it was pretty cool, and I especially liked the Third and Seventh Doctors, but I wasn’t the huge fan that I am now. Then, in March, Doctor Who came back and I thought “Oh, that’s nice, some brand new episodes to see” and so I watched all of that series and, my goodness, I think it was incredible! I still think that the 2005 series is the best one since Doctor Who came back; pretty much every single episode was of a very high standard. So, this is when I became a proper ‘fan’ of the show. 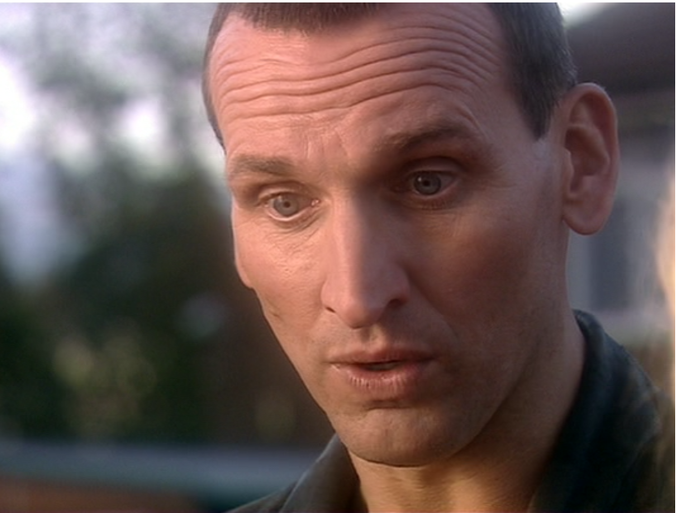 Of course, part of that is due to the Ninth Doctor himself. All of a sudden, the Doctor is a little more mysterious than he had been before, mainly due to being seen from the point of view of Rose Tyler, but also due to having taken part in a mysterious war since we last saw him. This Doctor can be both serious, and also very funny, and that’s a very good mixture for the character, all of which is why he is my number five. The biggest downside to him is that he only has thirteen episodes… I must also say that I was very torn between giving the number five spot to the Tenth Doctor and the Ninth Doctor, but in the end, the Ninth won. Just. Number 4 is The Fourth Doctor. 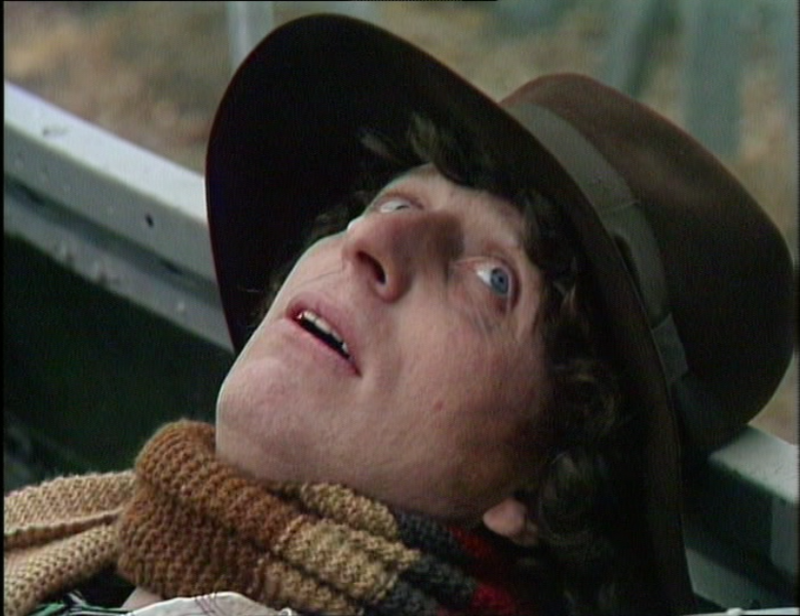 The Fourth Doctor is, I’m sure, the best Doctor for many people and, while I do think he’s very good, he’s not my number one. I suppose the best way to describe him, is just to say he’s kind of weird. Now, I know that sounds very rude, weird being quite an offensive word, but I mean that in a completely positive way. He’s very unique, and all of his quirks are very charming. 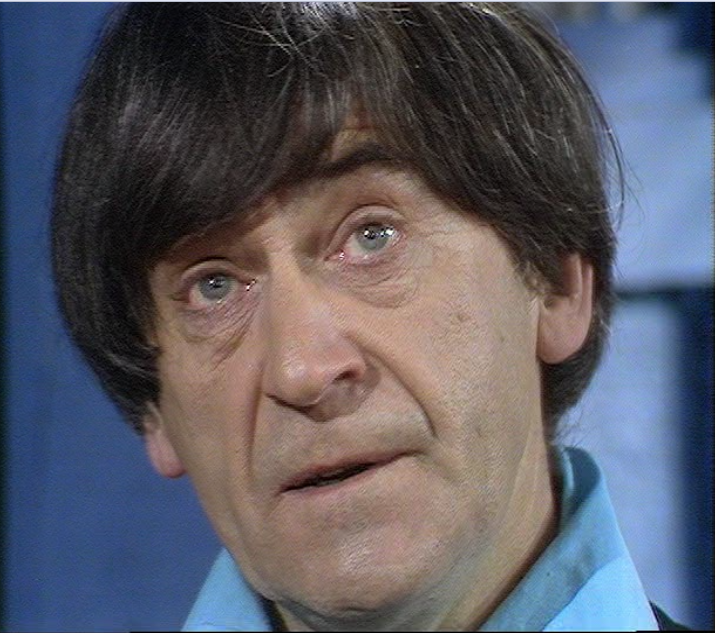 This is the Doctor who offers jelly babies to allies and enemies alike, who one time saves himself by randomly being able to scream really loudly, who tossed his hat onto a Dalek’s eye piece and then shoved it away and who, basically, did whatever he wanted. The goal seems to have been to make this Doctor seem very alien, and I think it worked exceptionally well. Number 3 is The Fifth Doctor. 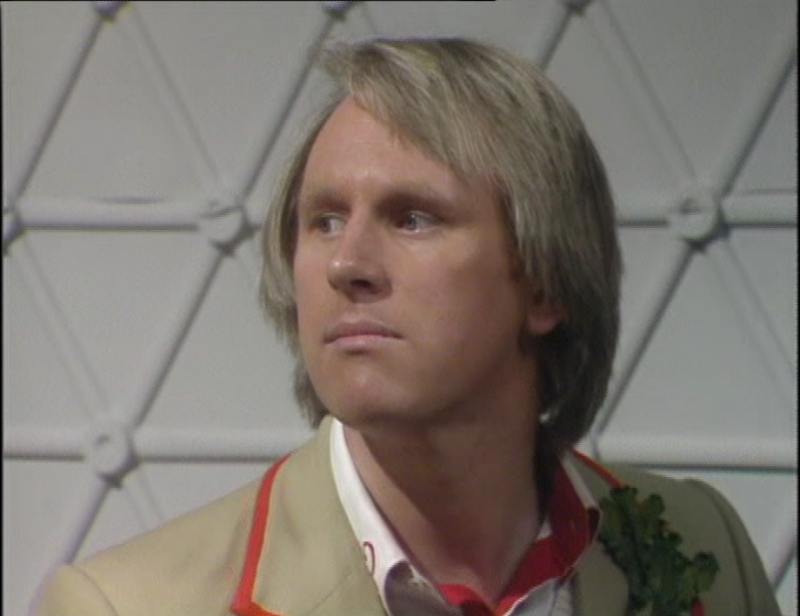 I must admit, I only recently started to like the Fifth Doctor, but I can see now that he is really very good. I always used to think he was just boring, but then a friend of mine told me that the Fifth was his favourite, so I decided to give him a bit of a reassessment. I bought a boxset of three more of his stories and rewatched everything of the Fifth Doctor I had, and, after that, my opinion of him was much higher. With the other Doctors you get the impression that they’re unstoppable heroes who go out on adventures because they really love doing it, whereas with the Fifth you get the impression that this is a very put upon, vulnerable man who so often saves the universe, simply because he HAS to because, if he doesn’t, who will? Despite his very good intentions, things never go well for him; his companions often get annoyed at him and start being mean, he’s one of the few Doctors who suffered the death of a companion, and while other Doctors would save the day, make some kind of joke and happily head off in the TARDIS, he’d often be left horrified with all the death and destruction he’d witnessed. He’s just so endearing. Number 2 is The Third Doctor. Unlike most of the other Doctors, the Third spent a big portion of his life living on Earth, which makes quite a difference to his era. 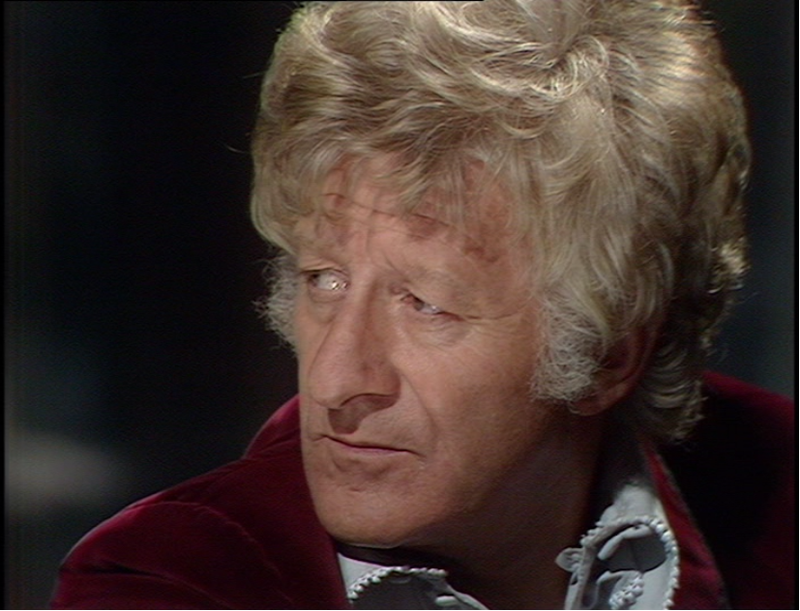 The Third Doctor, despite being my second favourite Doctor, actually has my favourite story of all Doctor Who: Inferno. But the best thing about him, I think, is that he’s a man who seems to be very reasonable. Sure, he does seem to be a little reckless in his early stories (mainly due to his anger at having to live on Earth) but he quickly becomes a much more mature and responsible man and, in the end, his decision to take responsibility for his actions is what cost him his life. Another thing is, he seems to have a really strong affection for all of his companions and lots of the people he meets during his adventures; this isn’t really a particular thing that he DOES it’s just that, whenever he’s having a chat with somebody you just get the impression that he really cares for them, without being over the top about it, and I really like that. He’s also the first Doctor I ever saw, and I remember I really liked him when I was a young child, I used to call him ‘The Nice Doctor’. Number 1 is The Second Doctor. This entry was posted in Best Entries, Doctor Who, Television. Bookmark the permalink.